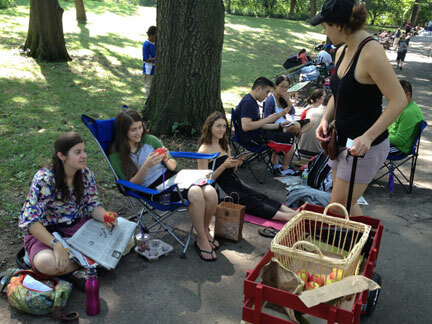 For a second week in a row we gave out free organic apples to people waiting in line for tickets to Shakespeare in the Park performance of “Into the Woods”. 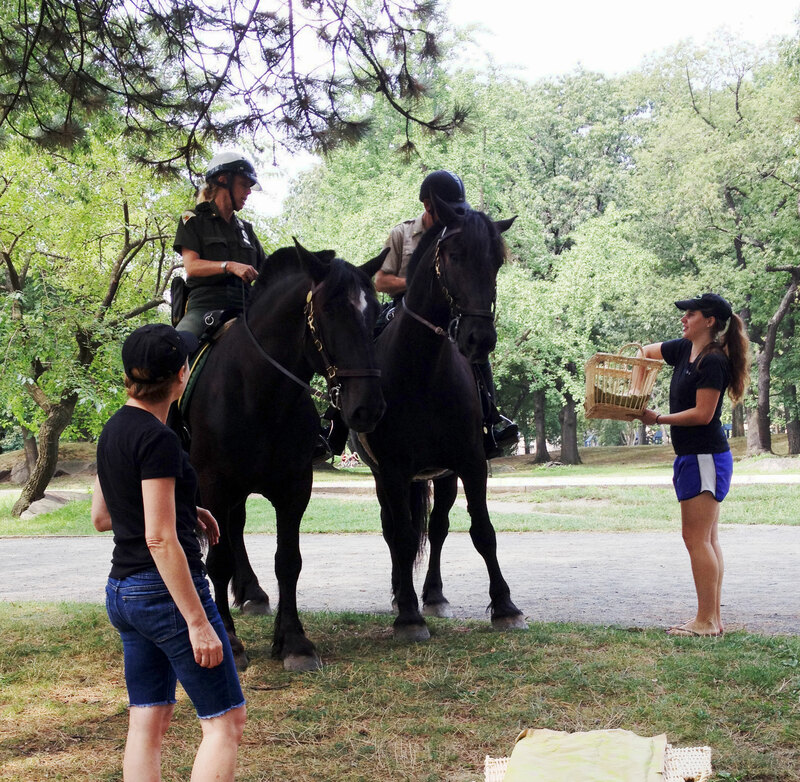 As happened last week, the Park Ranger horses sniffed their way to the apples. The rangers said the horses veered in the direction of the apples from quite a distance. Since the horses have mouth bits, we gave the rangers apple treats to be shared with their mounts later at the stables. Total apples given away: 548 to people in line and 2 to horses.